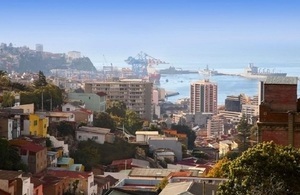 The Department for International Trade launches the government's first ever Latin America and Caribbean Investor Club. host the first Latin America Invest Awards celebrating Latin American companies successfully invested in the UK bringing most value to the economy. The UK currently has over 200 Latin American and Caribbean investors, and the LATAC region represents a market equivalent to the third largest economy in the world, after the USA and China. Total trade in goods and services between the UK and the region totals £26.1 billion. The club’s launch forms part of the department’s increasing focus on UK trade and investment with Latin America, and follows on the back of a week-long LATAC Roadshow promoted by DIT, which aimed to drive more UK businesses to export opportunities in the region. I am delighted to announce the launch of the first ever Latin America and Caribbean Investors club. Its launch recognises the huge importance of trade ties between the UK and Latin America, and signals our long-term commitment to supporting businesses from this region establish operations across the UK. As an international economic department, we will continue to promote the strengths of the UK, with an open, liberal economy, world-class talent and business-friendly taxation, to maintain our position as Europe’s leading destination for inward investment. The club will formally launch tonight (Tuesday 2 April) at a reception attended by over 100 inward investors from across the region including Brazilian bank Banco do Brasil, Argentinian IT business Globant, Colombian organic ingredient business Grupo Daabon and Mexican computing business Dynaware. The evening will be jointly hosted by the Minister for Investment Graham Stuart MP and Her Majesty’s Trade Commissioner (HMTC) for Latin America and the Caribbean Jo Crellin. Once active, the club will be chaired by two representatives of each of the five countries which have the highest investment presence in the UK, this includes Argentina, Brazil, Chile, Mexico and Colombia. The five will help manage the club, as well as promote trade and investment with the UK across the region.